This week all of us at BookPeople are putting last touches on all the prep for Texas Book Festival this weekend. This is the second time we’re partnering with them as official booksellers, and we’re so excited to see everyone this weekend. If you’re in town, make sure you stop by the Children’s Sales tent and say hi — I’ll be there all weekend long! 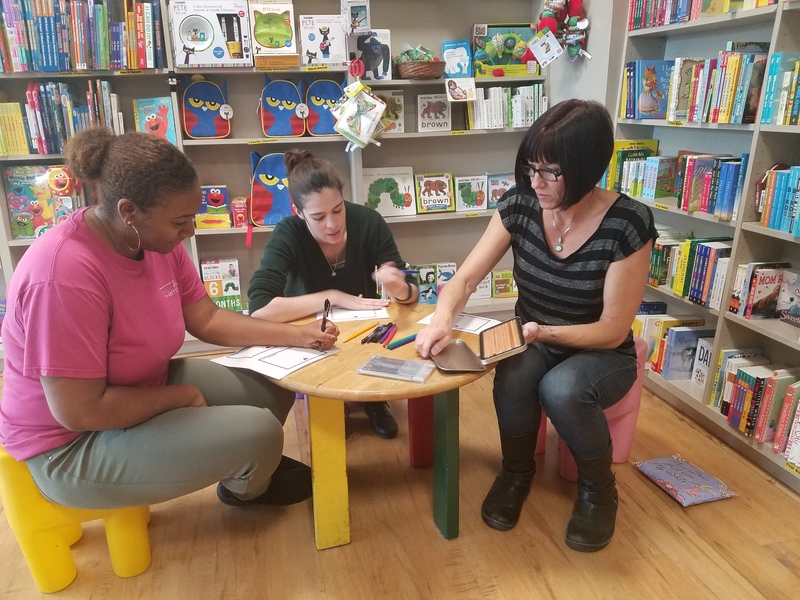 Ta’Necia, Natasha, and Staci busily prep recommendation cards for the TBF sales tent! The one thing that always happens when I’m in the midst of festival madness is that the stacks of mail get a little higher than normal. I triage what we know is time-sensitive material, but there’s an inevitable backlog. 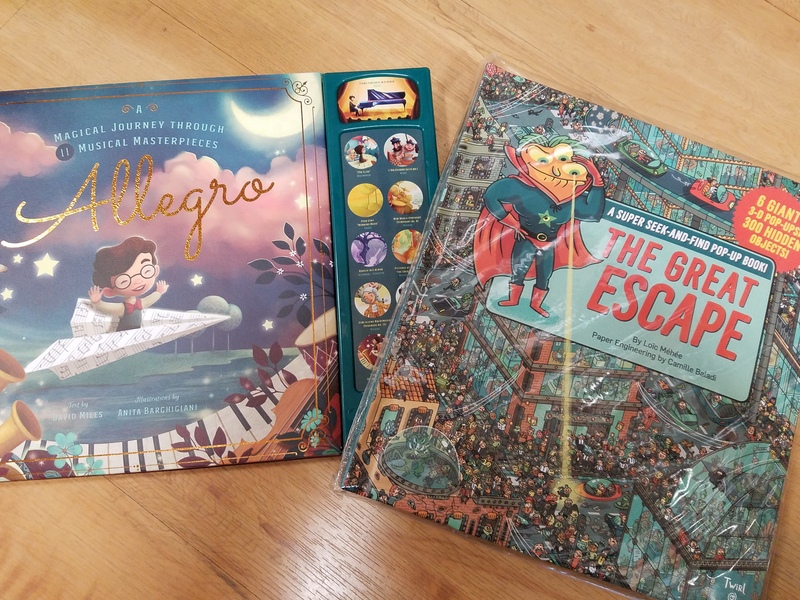 As I looked at the stacks in my office and realized I didn’t have much time to put together a blog before TBF, it seemed like a good time to follow up on my previous post about the delightful surprises that come to booksellers every day in the mail! Obviously we get a lot of boxes of ARCs (both in bulk and as special mailings), storytime kits, easels, posters, and more. But sometimes there are also unexpected and lovely surprises. 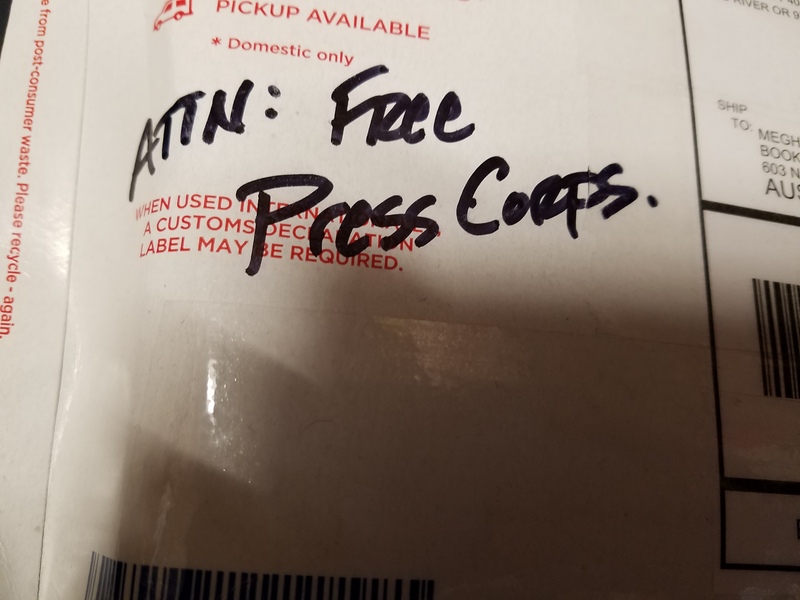 We so appreciate the effort to send us things that might be useful in merchandising and celebrating books, and while we can’t always make use of every single thing that comes, we try to find a place for as much as we can. So here’s a sneak peek at some of the best stuff that’s been coming our way this month (the showstopper’s at the end)! I love getting standees. What an easy way to help books make a visual splash! (And we’re lucky enough to have the space for display. This Questioneers standee got a little crushed in the mail, but I think some heavy boxes should smash it flat. The holidays must really be coming. 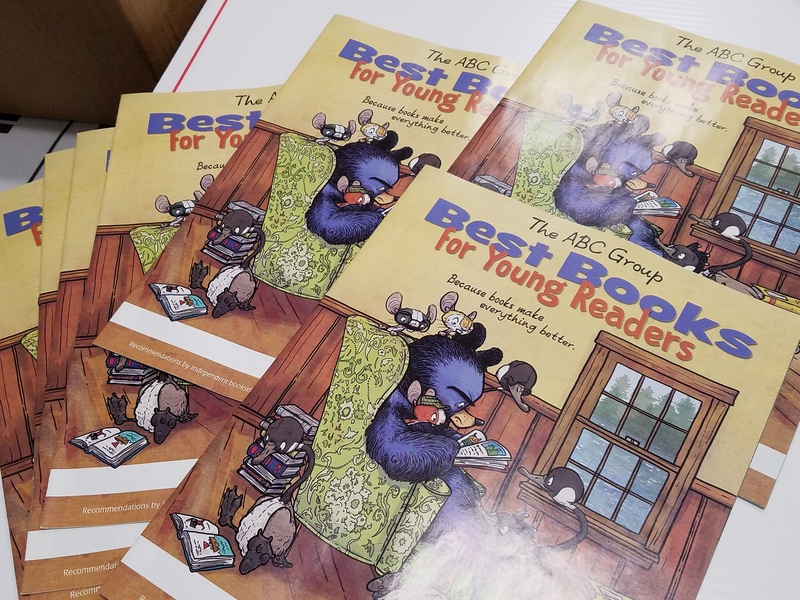 The ABC catalog is here. And I love this year’s cover. He’s so grumpy! 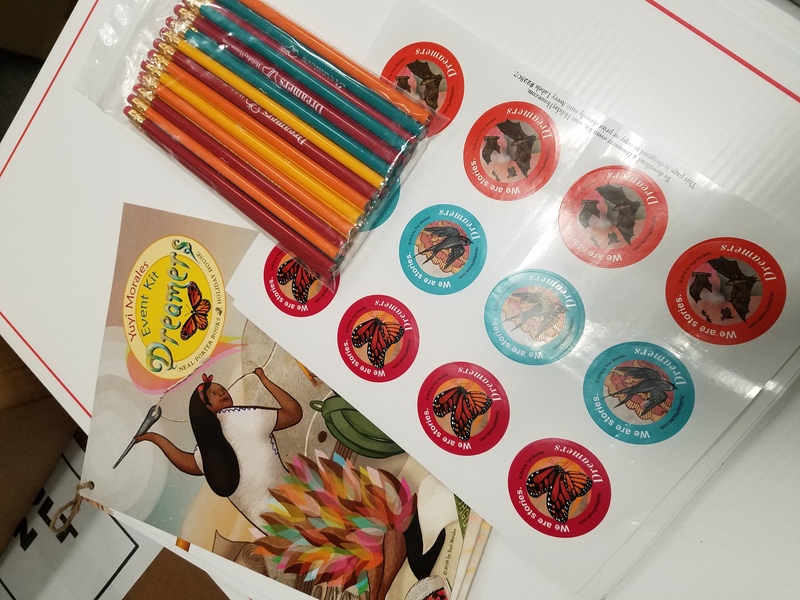 We love storytime kits, and this one’s especially nice with all these pencils and stickers to give away! 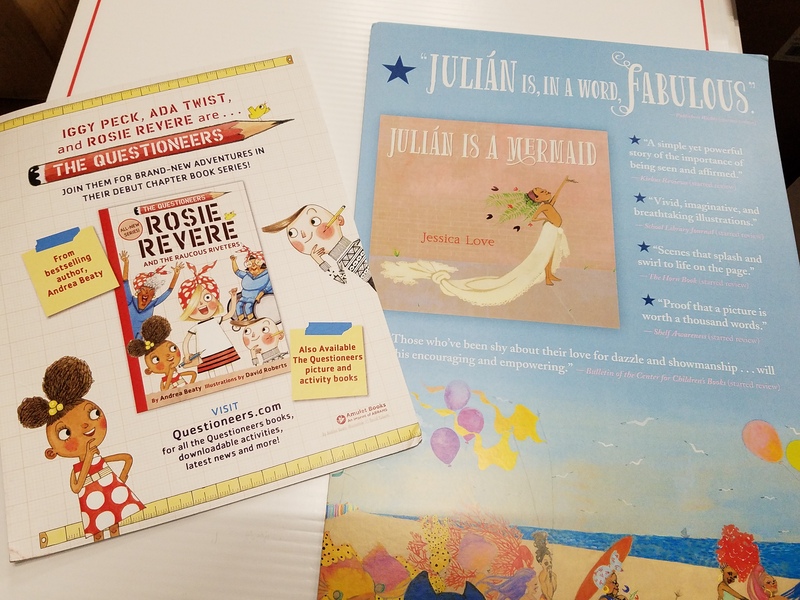 Sample copies of interactive books we’re featuring for the holidays (thanks Chronicle and Familius). So important to let people play with a display copy instead of your actual merchandise! 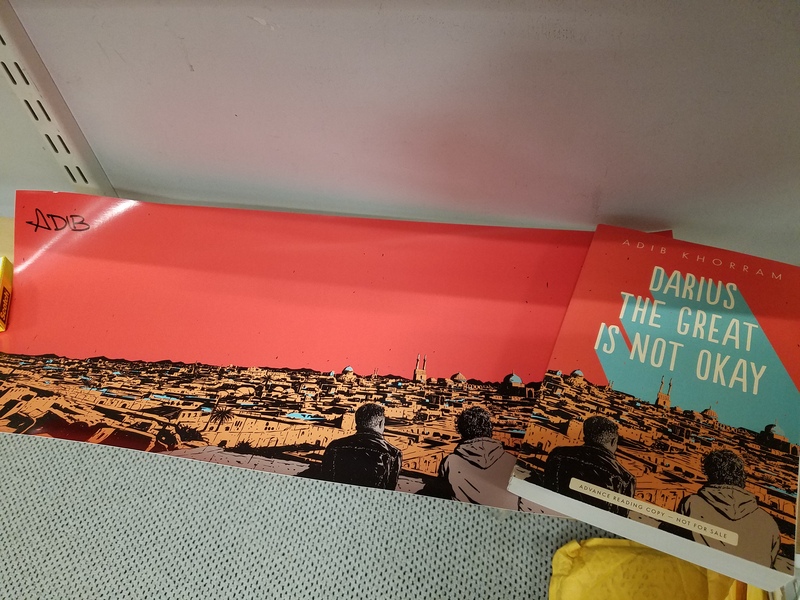 A lovely signed cover print from new author friend, Adib Khorram. Thanks for joining us at TTBF, Adib! 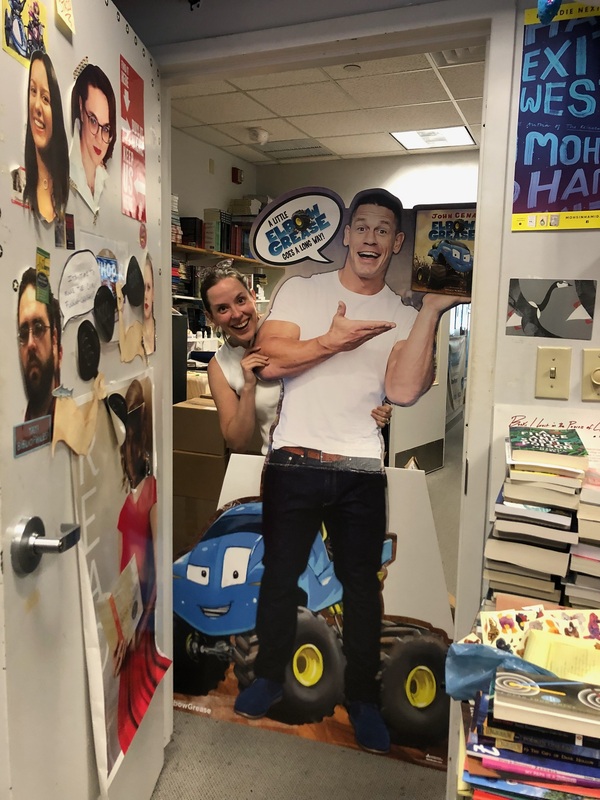 Yes, that’s life-sized John Cena standing outside our marketing office! This entry was posted in Uncategorized on October 26, 2018 by Meghan Dietsche Goel.